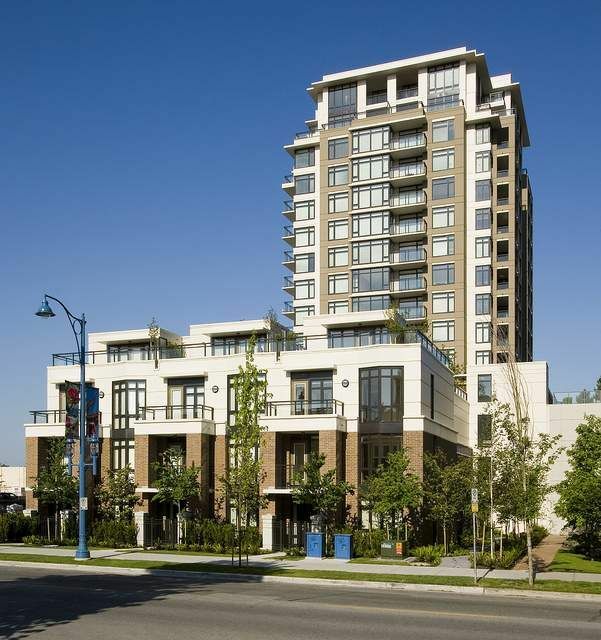 EMPORIO developed by award-winning Concert Properties and solidly built by BOSA. This bright & spacious unit features functional layout, beautiful granite counter, stainless steel appliances, gas range and full height shaker style cabinetry that is both timeless and contemporary. This luxurious concrete high-rise offers a well equipped fitness studio, club house with lounge, games area & kitchen that opens up to an outdoor patio & large landscaped rooftop terrace. Emporios convenient location makes fulfilling your daily needs a breeze while giving you easy access to a host of recreational & cultural options. Steps to skytrain, bus, and city transportation. Easy access to shopping, dining, schools, parks, community center, Gateway Theatre, Richmond Public Market, YVR are all only minutes away.